Your retaining wall, bricks, blocks and pavers specialist. The most comprehensive range in Tasmania. Easy to use, do it yourself wall systems. Global greentag certified with recycled glass aggregates. DIY paths, patios, driveways. Municipal & industrial projects. The premium, waterless, low maintenance low cost lawn. Island Block & Paving produce a unique range of bricks, retaining wall blocks, building blocks, render blocks, architectural coloured blocks, weedfree paving options, patented retaining wall systems, artificial grass, pavers, driveway pavers and other landscape products. Island Block & Paving is one of Australia’s leading independent manufacturers of concrete masonry products. Island Block & Paving products are available Tasmania wide plus a large range of our products are available through our mainland stockists. These stockists include Melbourne Brick (Victoria), MD Brick, Amber Tiles (New South Wales), Amber Tiles (ACT) and the Australian Paving Centre (South Australia). Island Block & Paving offer personalised customer service including on-site measures, supply estimates, expert product advice, access to DIY installation guides and videos, statewide delivery and much more. 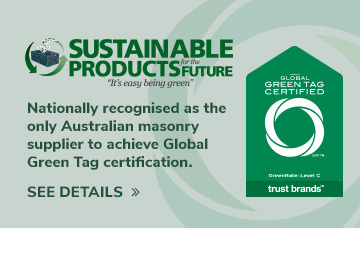 Island Block & Paving’s Sustainable Products for the Future are nationally recognised as the only Australian masonry supplier to achieve Global Green Tag certification. The Sustainable Products for the Future range includes bricks, retaining wall blocks, concrete building blocks, architectural blocks and weed-free paving products, all are manufactured with up to 40% coloured recycled glass aggregates, which provide exclusive surface finishes that shimmer in the light. The Sustainable Products for the Future range is environmentally friendly as the recycled glass is no longer being used for landfill, it is now used for a value-added product replacing natural sand. The company operate management systems which are aligned to ISO 9001:2015 and is committed to manufacturing unique, environmentally friendly and sustainable products. Island Block & Paving’s large product range allows us to cater for a wide variety of customer requirements – from new homes to renovations, small landscape projects to commercial developments – the options are endless with Island Block & Paving products. Contact Us Today or Get a FREE Quote on your project! Getting a quote is quick and easy - simply complete the form below with your project details and we will be in touch shortly. © Copyright Island Block & Paving. All rights reserved. 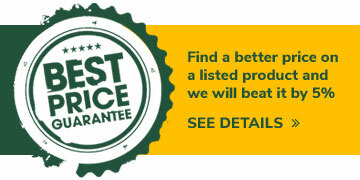 Join our mailing list today and be the first to get the heads-up on great deals, specials and new products.